The best smoking hookahs in the entire southeast. Looking for a new way to shake up your night out in Columbia? Tired of the same old bars over and over again? When you and your friends decide that it’s time to try something new and exciting, then check out The Hookah Spot! We are a dynamic social venue with a lounge atmosphere and a retail store offering the finest hookah products. 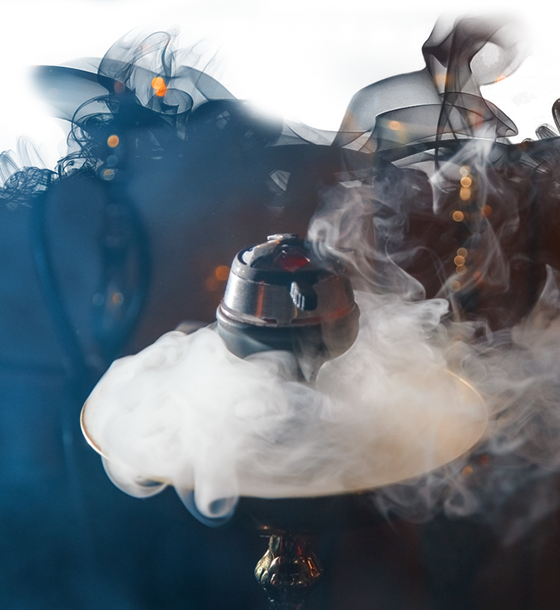 From shisha to hookahs, hoses and more, our team can guide you as you select the perfect blend to suit your tastes. We are Columbia’s premier hookah retail location. We only carry only the best because you deserve the best when you indulge in a hookah experience. Want to just relax and enjoy some of our in–house tobacco mixes? We have you covered. We are Columbia’s first & finest hookah destination. We offer a range of premium hookah options and a variety of in-house flavor blends. You can choose a new flavor or stick with an old favorite. Not sure what shisha to choose? Our team can suggest their favorites for you! Bring your friends for a unique night out or simply swing by to enjoy the peace and comfort on your own. With events going on throughout the week, including open mic nights and Wednesday karaoke, we know you’ll want to hang out with us each and every day. Indulge your senses with the pleasant aroma and delicious flavors of your chosen shisha blend. We’ve captured the upscale lounge feeling you are looking for when you go out for a night of conversation and laughter, and we happily combined it with the Stop in to see us tonight! The Hookah Spot—we are Columbia’s number one choice when it comes to having a relaxing and fun evening with friends. We are committed to offering our customers the best hookah experience possible.